Renovation spending in Canada is extremely high. In fact, 2017 will likely end with the country having put forth record numbers of home improvement expenditures. However, the nature of how that spending happens is changing, and it could signal that the momentum of a home improvement boom that began in the 2000s has finally run its course. According to real estate consultancy firm Altus Group, the record $72.7-billion in renovation spending that will occur this year—and the $74-billion that is expected to follow it in 2018—are being largely driven by housing stock rather than increased spending per unit. 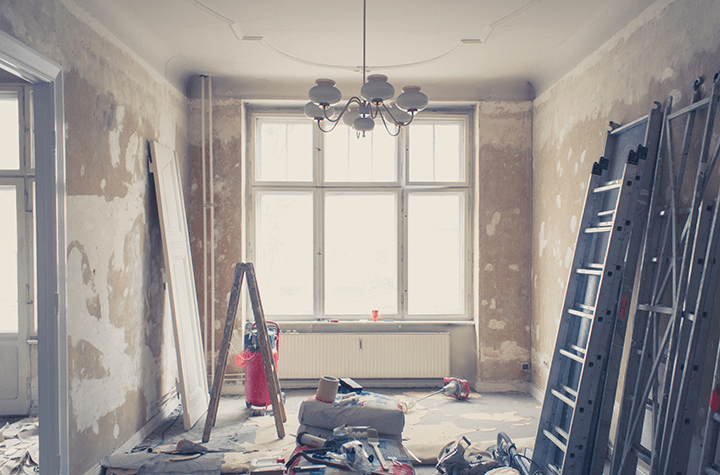 In other words, due to population growth and the necessity for home improvements, more houses are being renovated, but the amount of spending per unit that homeowners devote to these renovations has remained stagnant. In the greater context of the Canadian housing economy, home improvement is highly significant. Altus Group notes that the new home market was worth only $53-billion in 2016, compared to $71.2-billion for renovation spending. That works out to $1.33 on renovation spending for every dollar that is spent on new home construction. Though some of that money is simply spent on mandatory upkeep and repair—$17-billion of the $71-billion spent in 2016, to be exact—the rest all goes towards conscious ways of improving the home. Altus Group's findings are consistent with those of a CIBC survey that was done earlier this year. It found that 48 per cent of homeowners nationwide would be repairing and renovating their houses in 2017, up 11 per cent from the previous year. They planned to spend far less on an average basis, however, dipping down from $13,000 in 2016 to $11,800 in 2017, and illustrating the shift from spending per unit to housing stock spending.